To follow Christ is a choice which must be made day in and day out, Pope Francis said Saturday, explaining that to know the Lord means meeting him in one’s daily life. Pope Francis reflected on encounter with the Lord for the 23rd World Day of Consecrated Life, which takes place every year on the feast of the Presentation of the Lord. 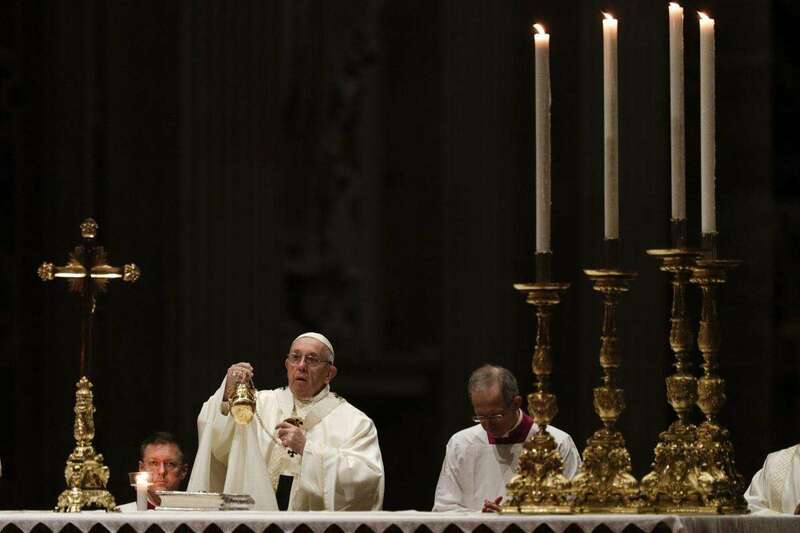 The Mass in St. Peter’s Basilica Feb. 2, began with Pope Francis blessing the candles in the rear of the nave. He then processed to the front of the darkened church with priests, bishops and cardinals carrying lit candles. Men and women present in the congregation also held small candles. Francis recalled a part of the day’s Gospel, and the repetition of the phrases “according to the law” and “in the Spirit.” At the presentation of Jesus in the temple, Mary and Joseph “run to the temple, called by the law” and Simeon and Anna are “moved by the Spirit,” he said. He illustrated this point using the Wedding at Cana. Mary tells the servants to “do whatever he tells you,” in other words, requesting obedience. Jesus then asked them to fill six stone water jars, which takes time and effort and likely seemed pointless at the time, since the wedding needed wine, not water. Consecrated life requires concrete things, he explained, such as obedience to one’s superior and to the rules of consecrated life. “Consecrated life is not about survival, but new life. It is a living encounter with the Lord in his people. It is a call to the faithful obedience of daily life and to the unexpected surprises from the Spirit. It is a vision of what we need to embrace in order to experience joy: Jesus,” he concluded.